What is Net Heat Metering? In almost all Cooling applications chilled water is used. What is of more interest is not the volumetric flow rate but the amount of energy extracted from the cooling media. This can be done by the measurement of flow of the cooling medium, the inlet and outlet temperature and then using temperature difference to calculate the Net Heat transferred. 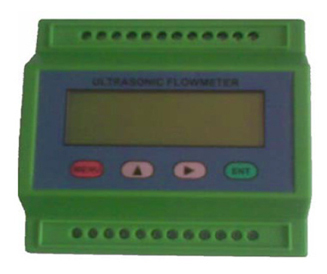 MiKamachi Ultrasonic BTU Meters (MBUM) / Net Heat Meters use accurately calibrated Ultrasonic Flow Meter, a matched pair of temperature sensors and computing unit inside the flow meter to calculate Net Heat consumed/ transferred.